Swimming Pool Design - Bellaire Landscape Inc. Deciding to purchase a pool for your home is a serious financial investment. 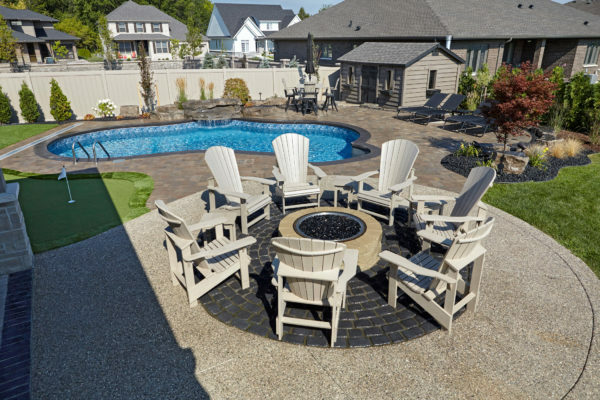 Let Bellaire Landscape make your life easier by designing the perfect pool positioning layout for you and your yard. Bellaire Landscape can design the landscape to decide the ideal position for a swimming pool. We offer natural-looking lagoon style pools, traditional concrete and steel-walled pools, and vanishing edge pools. We can add features to make your swimming pool landscape more unique like a waterfall, cave, rock slides or custom designed decking or patio areas to surround your pool. Nobody wants to swim in a pool that leaves them with goose bumps because the water is too cold. Bellaire Landscape can install a pool solar cover that tucks neatly away into the surrounding patio area and is custom designed to perfectly blanket your new or existing swimming pool and you will not have to be concerned about the temperature of your pool ever again. 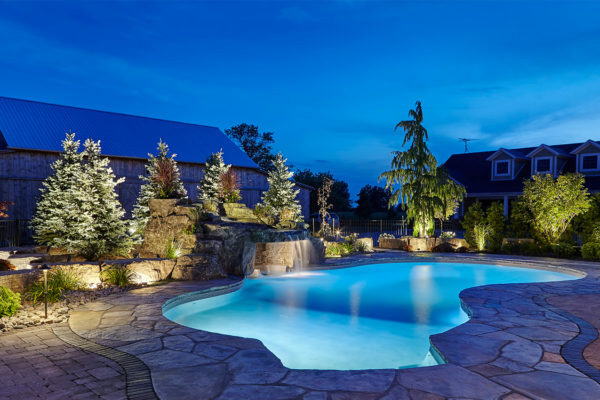 If you already have a pool and you would like to improve the beauty surrounding it, our landscape architects will design landscaping that will perfectly enhance the already existing features of your pool. 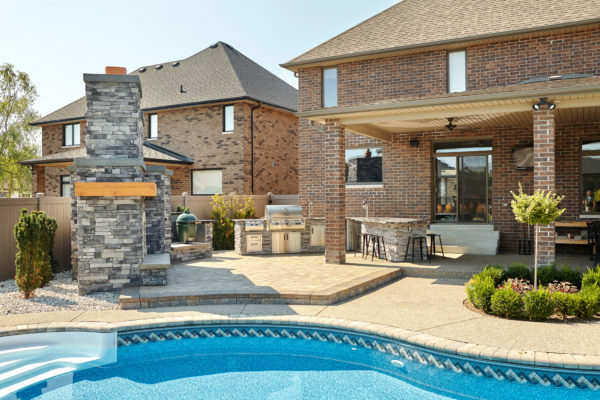 Whether you are thinking of adding a waterfall or swim up bar, an interlocking patio, walkway, or cabana, we can add various features to your backyard pool area to transform it into the oasis you have always wanted!